Is Snow Volleyball the Next Beach Volleyball? Just 26 years ago beach volleyball got its start as an exhibition sport in the Summer Olympics, held in Barcelona in 1992. By the 1996 games in Atlanta, it became an official Olympic Sport. Now snow volleyball attempts to do the same, set as an exhibition sport this winter Olympics in Pyeongchang. The event will take place on February 14th, 2018 at the Austria House. The sport is quite similar to beach volleyball, played 2 vs. 2 and uses the same rules. It also has an atmosphere comparable to beach volleyball, including a hot tub as part of the post-tournament celebrations. Certainly there are differences that playing on snow instead of sand creates. For example, players usually wear soccer cleats to get a better grip on the snow. Some speculate that due to the slipper surface, height is less of an advantage. Additionally, weather conditions vary a great deal more than on the beach. While we still prefer the sand, sun, and warm weather, we await the exhibition and look forward to the future of this version of the sport we love. 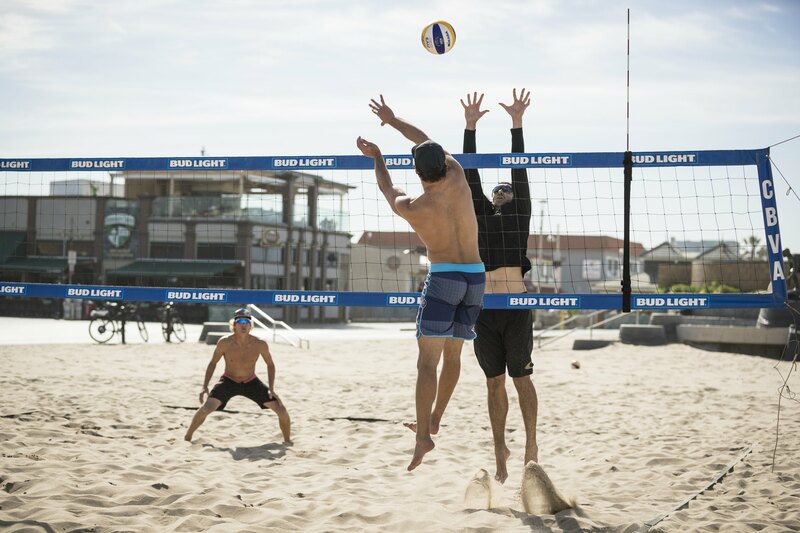 If you aren’t a fan of the cold and would much prefer the beach to the snow, check out our Gold Camps and weekly classes here in sunny Hermosa Beach, California!